So far this year I have spent 3 weeks out of the past 4 months at my home station. The rest of the time I’ve been TDY or deployed to a dozen different countries. While I’m travelling, the topic of money and paying for things on TDY/TAD always seems to come up at least once a trip. Everyone seems to have their own system worked out, whether they use credit or debit cards, the Government Travel Card (GTC), ATMs, or money exchangers. 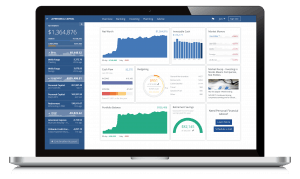 It’s an easy system that minimizes your risk to stolen cash, foreign exchange rates, and stolen credit or debit cards. 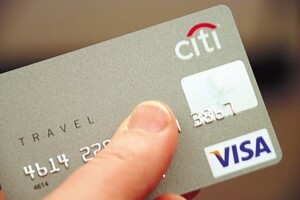 It also maximizes your credit card reward points, for spending that you have to do anyways. The first thing to note is that there are some Department of Defense rules and laws concerning official government travel. Most of these rules are contained in the DoD 7000.14-R Volume 9 Chapter 3. When you are issued a GTC, you sign paperwork agreeing to abide by these rules. The consequence of not following the rules can be serious! For military personnel, you can be prosecuted under Article 92 of the Uniform Code of Military Justice (UCMJ) for “failure to obey a lawful order or regulation” if you violate the rules of GTC use. Willful misuse of the card may be a Federal crime. The most important thing to remember is: DO NOT use your card for personal expenses outside of official government travel. If you’re not traveling on TDY orders, don’t use the card. The most important expenses to put on your GTC are lodging, rental cars, and commercial air travel. If you don’t use your GTC for these expenses, you run in the risk of not getting reimbursed for the expenses. This will cause you to have a lot of headaches. However, sometimes the card does get locked out or simply won’t swipe when you get to your hotel. A quick phone call to Citibank will usually fix this. Using your GTC for officially authorized rental cars is important as the GTC has built in rental car insurance. When you rent a car under official orders, make sure you decline all the insurance options offered, as you WILL NOT be reimbursed for them. Note: As of 2015, ATM fees are no longer a reimbursable expense in accordance with the JTR. Check the latest JTR here. It might make sense to use a Schwab Investor Checking Account debit card, which reimburses for all ATM fees, both foreign and domestic, rather than a GTC or GOVCC to get your cash out on TDY. I personally just use my USAA debit card to get cash out. USAA refunds all my foreign transaction fees and up to $15 of ATM withdrawal fees per month. The second most important function of your GTC is cash withdrawals. There are several reasons why you want to use your GTC to get cash out when on TDY/TAD. First, it’s actually the way you’re supposed to do it when travelling on official orders. Back in the 80s and 90s, military personnel would get thousands of dollars in cash advances from the base finance office before departing for TDYs. Now, you’re supposed to go to an ATM and withdraw cash from your GTC. This is a safer system (you’re not walking around with a thousand dollars/euros) and it keeps you from overspending (you can just hit the ATM every couple days for another $100 or 100 Euros). Second, if you don’t take cash out on the GTC, you’ll need to use a money exchanger, your own credit card, or your own debit card. Money exchangers, especially in airports, offer horrible exchange rates. Never use them. Cash advances on personal credit cards are NEVER a good idea. The outrageous cash advance fees and interest rates are even more excessive than the regular 29% credit card interest rates. Also, you never receive cash or reward points for credit card cash advances. So there's no reason to use your personal credit card. Using your personal debit card overseas has several disadvantages. The first is most banks charge an overseas ATM withdrawal fee. Even USAA, my favorite military bank, charges a 1% international ATM withdrawal fee. The second reason is credit card skimming and debit card theft is much more rampant outside the United States, especially against cards that don’t have Chip-and-Pin. By using your debit card overseas, you are potentially opening your checking account to identity thieves and debit card hackers. Not a good idea. Also, why should you have to put your checking account money up front for official government travel? When Uncle Sam sends you away from home, it gives you the tools to get cash advances, so your money can sit safe in your checking account. Do not use your own money for TDY travel. Finally, when you use your GTC to withdraw cash, you get the best available exchange rate for that day. The ATM service fee will show on your GTC statement and you can claim reimbursement for that fee easily on your DTS travel voucher. Using your GTC to withdraw cash is the safest, simplest, and cheapest option available to the international US government traveler. There will be two options, one where you are charged 100 Euros, the other where the ATM charges your GTC in dollars but spits out 100 Euros. The correct answer is charge me in Euros! 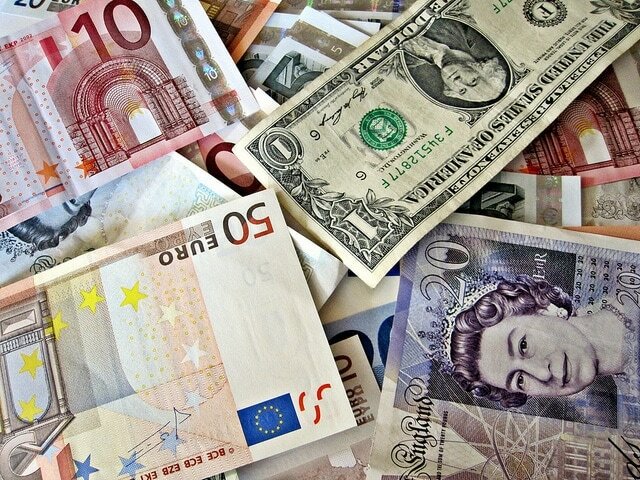 The exchange rate you are given for being charged in dollars is often 10-20% off the actual exchange rate. Citibank will give you the best available exchange rate for that day on your GTC. Don’t be suckered in to charging your GTC in dollars. Charge it whatever the local currency is and save yourself money. I find that often times using cash is easier overseas. While Europe does have a well established and ubiquitous credit card network, their use of the Chip-and-Pin system and lack of trust in the magnetic swipe system can make using an American issued credit card difficult. Plus, the language barrier and trying to explain that you don’t have a Chip-and-Pin card is not easy. I've found that cash is the easiest way to pay for food and goods in Africa, Europe, Central Asia, Japan, and the Middle East, as a TDY traveller. Until US banks finally start issuing Chip-and-Pin cards (and NOT Chip-and-Signature, or just magnetic strip), cash will be easier in most locations around the world. 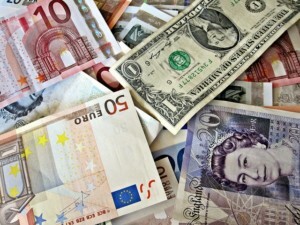 If your TDY in the States, you usually won’t need as much cash, as credit cards are much easier to use here. If you bank with USAA, you’ll get the first $15 of any ATM fees in the US refunded, so there’s no worry using your USAA debit card on Stateside TDYs. While your GTC is can be used for all expenses related to TDY travel, you’ll be losing money if you use it for every expense. Besides the big expenses of lodging, rental cars, and commercial air travel, if you minimize your use of the GTC while TDY you can make a substantial amount of travel reward points or cash back points using no foreign transaction fee credit cards. 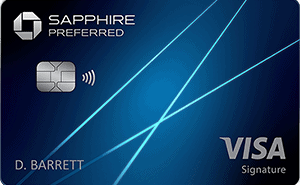 The two cards I prefer are the Chase Sapphire Reserve and the AMEX Platinum. Are perfect for all the eating out you’ll be doing while you're on the road. With the Reserve, you can use the points for cash back bonuses or statement credits, or transfer the points to the airline of your choice. Both these cards come with a no foreign transaction fees benefit, which is essential for the international TDY traveller. If your card does have foreign transaction fees (and many of them do), you could be losing 1-3% every time you swipe the card, which can quickly negate any reward or cash points benefits. If you are using a card with foreign fees, switch now and start earning points! Here’s what the actual regulations say about when you don’t need to use your GTC. Use this information to maximize your credit card reward points while travelling, but still staying within the rules and regulations as set out by the DoD. Military members or DoD civilian personnel as approved by the Head of a DoD Component during: (1) a period of war, (2) a national emergency declared by the President or the Congress, or (3) mobilization, deployment, or contingency operations. DoD personnel (military or civilian) traveling to or in a foreign country where the political, financial, or communications infrastructure does not support the use of the travel card. The following expenses are exempt from the mandatory use of the individually billed travel card. However, cardholders are encouraged to use the travel card to the greatest extent possible, to include withdrawing cash from an ATM to pay for these expenses, where practicable. Expenses incurred at a vendor that does not accept the travel card. Meal charges when the use of the card is impractical, in government dining facilities as an example. Miscellaneous expenses typically paid using cash such as coin-operated parking meters, toll booths, laundry facilities, etc. Failure to use the travel card will not be used as a basis for refusal to reimburse the traveler for appropriate charges. However, failure to use the travel card may subject the traveler to appropriate administrative or disciplinary action. Remember that as a military servicemember you are always subject to the UCMJ. Be careful what you charge or don't charge to your GTC and make sure that you are following the rules as laid out in the appropriate regulating documents. With this system you’ll have minimal risk, maximum reward, and you’ll stay within the rules regarding GTC usage and official government travel. How about you, TDY warrior? What system do you use to get cash and get your maximum reward points while travelling on official business? I always try to pocket as much of my per diem as I can while TDY. My favorite way to save money while TDY is to stay at the Marriott Residence Inn. These hotels are made for business travelers on long stays. The rooms include a kitchen with full sized refrigerator, dishes, and pans to cook with. They have free breakfast, dinner and some even have free happy hour (free beer and wine during the hours they serve dinner.) Having free breakfast and dinner already saves you from spending your per diem and you can save even more by visiting a grocery store and making your own lunch. The government rate for a hotel for a particular city will be the same across the board regardless of what brand hotel or how “nice” the hotel. I also have a Marriott rewards account where I can get Marriott points or airline miles. If you prefer Hilton or another hotel chain look into see if they have accommodations like this on your next TDY. If you receive “free” meals – then you must deduct those meals from your M&IE per diem for each occurrence. Thank you for the great article! Although this is cleary not the case with you…of note…The Travel and Transportation Reform Act of 1998 (Public Law, 105-264) states that folks who travel less than three times a year are exempt from mandatory use of the GTC for airfare, lodging, car rental, etc. @iheartbenjis, your statement isn’t entirely accurate. The Act Section 2a lists only three exemption classes, and infrequent traveler is not listed; however, since there were other classes DoD might want to consider exempting due to various reason, DoD component heads were permitted to include additional exemption classes. One exemption class discussed is infrequent traveler. DODFMR (DoD 7000.14-R, section 030402, latest update April 2014) defines infrequent traveler as traveling no more than twice per 12 month period (not three times per year you mentioned). The reg stipulates infrequent travelers are not required to be issued a government travel card; however, the reg allows for commanders and supervisors to require a government travel card, and if one is required and is issued, then you have to use it. The best thing to do is to get with your Agency Program Coordinator. That was changed with the new regulation, that was enforced in June 2014 by the Secretary of Defense.